We regularly treat patients for sciatica at our clinics. This is not surprising given that best estimates suggest as many as 1 in 20 people suffer from this condition. Unfortunately, the more common a condition is, the more it seems to attract online misinformation. If you have a specific question about your sciatic pain and are looking for some advice, please don’t hesitate to email us. For general comments please use the comment section below. 2 How is sciatica treated? Sciatica is pain that typically occurs in the buttock and radiates down one leg following the course of the sciatic nerve. Low back pain, leg pain, numbness and weakness are also common, but may be less noticeable. More than 90% of cases result from a disc disorder that causes compression of one or more of the nerve roots that comprise the sciatic nerve (for example, see Figure 1) . In most cases a spinal disc herniation is to blame, but spondylolisthesis, foraminal stenosis, synovial cysts, piriformis syndrome, tumors, spinal instability and sciatic compression during pregnancy can also cause it. The first time sciatica arises is usually when patients are in their 30’s or 40’s. 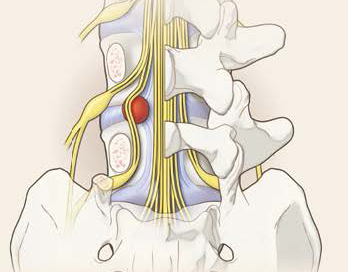 Figure 1: Disc herniation (shown in red) compressing nerve root L5 between the L4 and L5 vertebrae. Figure adapted from ref 1. Rest is frequently recommended as a treatment for sciatica, but studies suggest that there is no difference in outcomes between people who rest and people who remain physically active (for those who can) (ref 2). Pain medication has been shown to be largely ineffective for controlling sciatic pain, including the use of acetaminophen, NSAIDs (aspirin, ibuprofen, naproxen), opioids (morphine), and muscle relaxants (ref3). However, any medications found by patients to temporarily reduce pain would likely be beneficial for increasing participation in physiotherapy rehabilitation (see below). In cases resulting from piriformis syndrome some limited evidence suggests that botulinum toxin may be helpful in relieving pain. Epidural injections of corticosteroids have been shown to temporarily reduce pain, but they don’t appear to decrease the rates of subsequent surgery (ref 4). Surgical procedures including partial disc removal or lumbar laminectomy may also be an option, and for some patients this may reduce pain more rapidly and effectively than conservative (non-surgical) treatments (ref 5). Many cases of sciatica resolve on their own, but to speed recovery, or for persistent cases, physiotherapy is usually recommended as a first-line treatment for sciatica. The specific physiotherapy methods used for sciatic pain depends on the underlying cause, but treatment usually includes exercises and behavioural modifications that can be performed by patients on their own at home. Reduce factors that exacerbate the condition such as poor sitting position, sleeping position, lifting/carrying technique, and so on. Identify ways to continue participating in physical activities and hobbies, without aggravating the condition. While there is currently no gold-standard approach for treating sciatica, a variety of clinical studies support the use of these physiotherapy methods (ref 6, 7, 8, and others), which also exhibit good patient safety. In addition to physiotherapy, for some patients we also incorporate acupuncture to help temporarily relieve pain, although its efficacy has not been demonstrated in clinical studies. Ropper AH, Zafonte RD. Sciatica. N Engl J Med. 2015 Mar 26;372(13):1240-8. Fleury G, Nissen MJ, Genevay S. Conservative Treatments for Lumbar Radicular Pain. Curr Pain Headache Rep (2014) 18:452. Kreiner DS, Hwang SW, et al. An evidence-based clinical guideline for the diagnosis and treatment of lumbar disc herniation with radiculopathy. Spine J. 2014; 14:180-191. Jacobs WC, van Tulder M, et al. Surgery versus conservative management of sciatica due to a lumbar herniated disc: a systematic review. Eur Spine J. 2011; 20:513-522. Kennedy DJ, Noh MY. The role of core stabilization in lumbosacral radiculopathy. Phys Med Rehabil Clin N Am 2011; 22:91-103. Surkitt LD, Ford JJ, et al. Efficacy of directional preference management for low back pain: a systematic review. Phys Ther 2012;92:652-665. Spinal manipulation and home exercise with advice for subacute and chronic back-related leg pain: a trial with adaptive allocation. Ann Intern Med 2014; 161:381-391. I really think exercise such as yoga and pilates is very beneficial for sciatica treatment. When I was diagnosed with sciatica after a disc herniation I was told it can be a long process to get back to normal. But through chiropractors and specific lower back pain yoga, I’ve got it to a very bearable level. I believe I get sciatica but I’m not sure. I get a pain straight down the back of my right leg between my hip and my knee. I never get the pain below my knee, nor do I ever get it in my buttocks or in my back. Furthermore, I only get the pain when I have been driving for about an hour. I’m fine for the first 45 minutes or so, then it really starts to hurt. If I am a passenger in a car, it doesn’t bother me at all, even if I am just sitting in the car for hours on end. I never get the pain any other time except when I am driving. Does this sound like a form of sciatica to you? Are there any treatments or exercises you might suggest? Thank you for your comment and I’m happy to provide some thoughts. I’m sorry to hear of your leg pain brought on by driving. 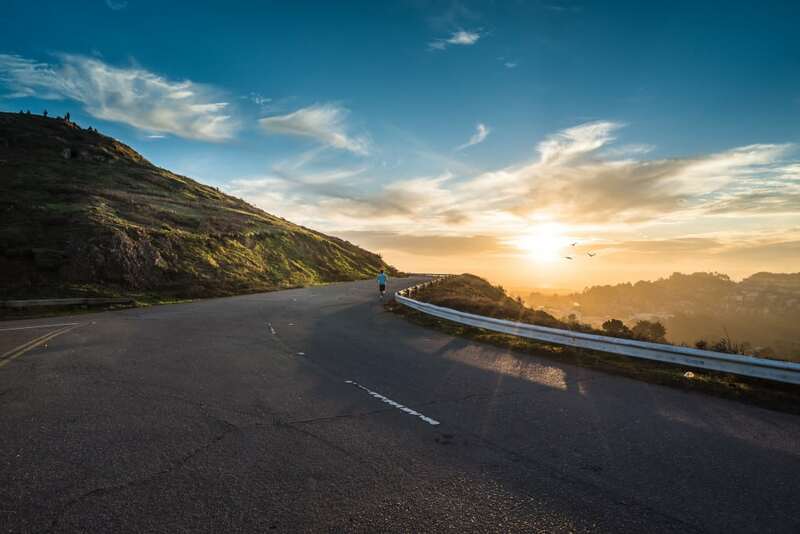 It’s not uncommon for people to experience the pain as you’ve described, where being the driver and being the passenger in a car makes a big difference to the presence of absence of pain symptoms. Leg-based pain can be related to a number of different conditions, even in the absence of back or buttock pain. It can be referred from your back, be it due to an impinged nerve or one being encroached upon by a disc (for example), it can be due to dural tension (adhesions along the nerve sheath which can make it irritable when the leg is outstretched), an issue related to your hamstrings muscle(s) or related fascial restrictions, such that again it is aggravated by an elongated sitting position such as when driving, and so on. So it could be a form of sciatica yes, but it may not be. I would be remiss to guess the root cause of your pain without assessing you in person, so I would suggest to seek an assessment with a physiotherapist or someone experienced with manual therapy to determine the cause and all contributing factors to your pain. We have many tests at our disposal to determine what is going on, and can in turn, provide very specific hands-on therapy and home exercises to avoid further aggravation, and to treat the issue to prevent it for recurring. How would the diagnosis be made for either a herniated disc or piriformis syndrom? Will there be treatment specifically designed for pregnant women? I notice that a lot of stretchings are hard to perform with a pregnant belly. It’s a question that we commonly get, yes. In a pregnant patient, you’re right, some of the positions we might typically use on other individuals, don’t work well with a pregnant belly limiting the positions. Sciatica (the nervey pain you may be experiencing, that typically starts either in the back, or in the buttock, or can be mainly leg pain) can indeed be caused by both a disc issue, or piriformis syndrome, since the piriformis muscle overlaps the sciatic nerve (or the nerve even pierces through this muscle in some individuals. There is often ligament laxity at play with the presentation of this condition in pregnant women, since your body has a hormone circulating that relaxes ligaments in order to prepare for end stage pregnancy and labour. This can cause more laxity in the spine as well, and cause more movement between spinal segments than normal, allowing also that an intervertebral disc might shift, and thus, impinge the nerve. There are certainly many tests (biomechanical, movement tests, nerve tension tests, muscle palpation and length tension tests to detect for hyperactive piriformis) that a physiotherapist can do to rule in/rule out a disc issue, and/or piriformis syndrome. The homework exercise, and the manual therapy, certainly varies depending on what the origin of the issue is. Stretching may help piriformis symdrome if it is indeed shortened, however stretches might aggravate a disc issue if it is indeed herniating and irritating the nerve. So given in particular your pregnancy, I would recommend you see a physiotherapist who can help determine what is at the root cause of your symptoms, so as not to give you advice that would be helpful only in some circumstances, but which might aggravate in others. I hope that helps Sherry! Strengthening exercises for your core (as best as able) stability, and glute muscles, is certainly typically an excellent place to start. Wishing you all the very best with the remainder of your pregnancy! Along with all of the above . It’s been my experience that plague lined vessels maybe a contributing factor to sciatica pain. After reading two seperate articles, one about plague lined vessels , and the other about how plague lined vessels may cause back pain. I tried the remedy from the first article: take 3 fresh Dates or Figs , fork holes in them , soak them in Apple Cider Vinegar over night, eat all three Dates first thing in the morning . Repeat this process for 2 weeks. You maybe be as lucky as I was, to feel relief in less than 1 week and help cure any cholesterol issues. I don’t know if I have it but in reading everything it seems that I do….i have this pain in the back of my right leg starting at the top and end by my knee..the only other symptom i have that i haven’t read about is when im not moving my leg muscles start to twitch very fast….can you please help me in telling what I may have? You are very welcome, and I appreciate your comments. I am so pleased you have found the website posts informative. The comments above are very helpful in pointing out that sleep and rest are not the answer. I am experiencing acute sciatic pain whenever on my feet. For the past ten days pain forces me to a horizontal on floor or bed. Then I sleep 60% of the day to escape the pain. There’s no change. I’m very aware that this lack of physical activity asks for trouble. Tomorrow I go for a cortisone shot. I must search for an exercise program suited to sciatic patients. Sorry to hear that you’ve needed to avoid physical activity to manage your pain. As you point out, this is certainly not a good long-term strategy. Best of luck with your cortisone shot.